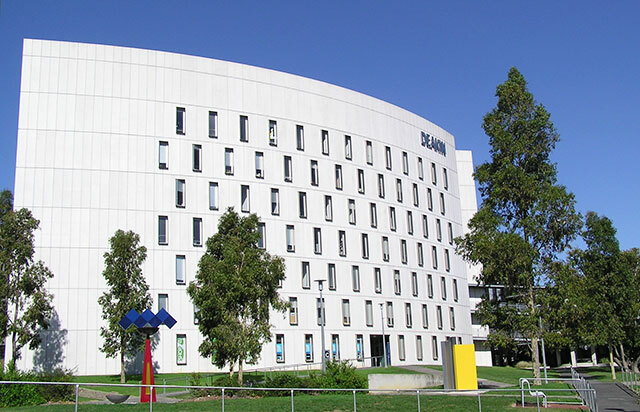 Founded in 1974, Deakin University is an Australian Government-funded University and one of Australia’s major universities, with high-tech facilities and impressive architecture. With traditional values of excellence in teaching and research in mind, Deakin University has built an enviable reputation by successfully combining both aspects with an attitude that challenges conventional practices, producing new ways of developing and delivering courses. Its degrees are recognized by universities worldwide, as well as by relevant Australian professional associations. In recent years, Deakin’s style of teaching has been acknowledged with multiple awards, including a national Award for Teaching Excellence and also winning the prestigious Australian University of the Year award twice. In 2013, Deakin University was awarded a QS 5-Star Rating for Excellence by the prestigious university ranking organization Quacquarelli Symonds (QS).